Applying online is fast, easy, and secure. Just choose either the Common Application or the State University of New York (SUNY) application. A $50 non-refundable fee is required with each option. You only need to submit one of these applications. Early Decision: Applications are due November 1. Notification by December 15; tuition deposit due January 15. Transfer and other first-year applicants are reviewed on a rolling basis, with the first round of decisions going out in mid-January for the fall semester. Complete both parts (online and printed application packet) of the Graduate School application, including any required supplemental application forms and transcripts.  A $65 non-refundable application fee (for first-time Buffalo State Graduate School applicants only) is required. Application deadlines for graduate programs vary by department, degree program, and sometimes degree track. Allow plenty of time to collect your transcripts, letters of recommendation, and other application requirements. 2. Obtain and complete required International Student supplemental forms FSA-2 (Autobiographical Essay Form) and FSA-4 (Foreign Student Financial Statement). For admission to graduate study, international students must hold a baccalaureate degree from an institution that is accredited by an approved U.S. regional accrediting agency or a degree that is equivalent to a four-year bachelor's degree in the United States. Review the international student degree requirements on the Graduate School website. All international applications requiring student visas must be completed by July 1 for fall; December 1 for spring; and April 1 for summer for all graduate programs (except Canadian applicants).